Jon Stewart has a look at the manufactured outrage on the right over the rapper Common reading a poem at the White House. You can see a portion of his slapdown here. As with driving, it is now apparently an offence to Rap While Black. What the clip doesn’t include, however, is Stewart’s own rap on the issue, which is a nice reminder that it really is a form of “flyting.” You can see the entire segment at Comedy Central (in Canada, at the Comedy Network). While we’re at it, it should be added that even the most reptilian demagogue understands that Common is well known to be an exceptionally gentle man who has always called for peace and tolerance. This is still more barely coded racism from the RNC/FNC conglomerate, whose agenda (sinecured angry clowns like Rove and Hannity aside) seems increasingly to be advanced by indignant bleached blondes. Some representative work from this very dangerous black man after the jump. This entry was posted in Video of the Day on May 12, 2011 by Michael Happy. 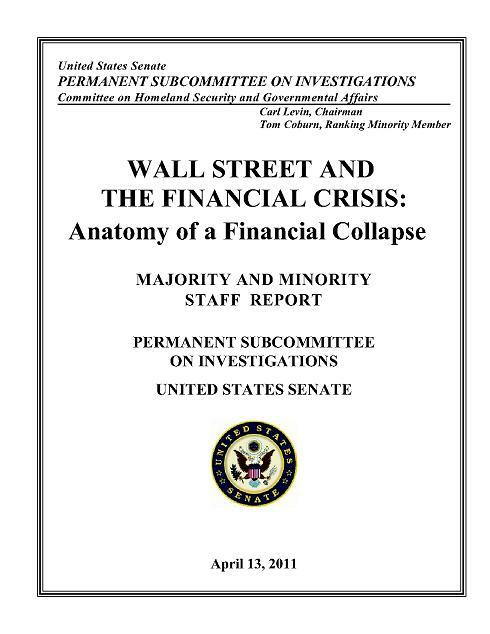 Matt Taibbi, who continues a grueling one-man campaign against Goldman Sachs in the popular press, reports in the latest Rolling Stone on the newly released Levin Report, Wall Street and the Financial Crisis: Anatomy of a Financial Collapse, by the Senate Subcommittee on Investigations, chaired by Democrat Carl Levin of Michigan and Republican Tom Coburn of Oklahoma. Goldman and the other banks argued that they didn’t need government supervision for a very simple reason: Rooting out corruption and fraud was in their own self-interest. In the event of financial wrongdoing, they insisted, they would do their civic duty and protect the markets. But in late 2006, well before many of the other players on Wall Street realized what was going on, the top dogs at Goldman. . .started to fear they were sitting on a time bomb of billions in toxic assets. Yet instead of sounding the alarm, the very first thing Goldman did was tell no one. And the second thing it did was figure out a way to make money on the knowledge by screwing its own clients. So not only did Goldman throw a full-blown “bite me” on its own self-righteous horseshit about “internal risk management,” it more or less instantly sped way beyond inaction straight into craven manipulation. “They affirmatively traded against the entire market.” That’s the case against Goldman Sachs: fraud on an unimaginable scale, selling their clients what they knew to be toxic assets, and then betting on the failure of those assets, which not only contributed to the collapse of the financial market, but allowed Goldman to enrich itself as a result. It is as revolting as it is frightening. And, if anything, the company has come out of it more powerful than ever: too big to fail and too rich to prosecute. This entry was posted in Current Events, Quote of the Day on May 12, 2011 by Michael Happy.